Raise a Green Dog! 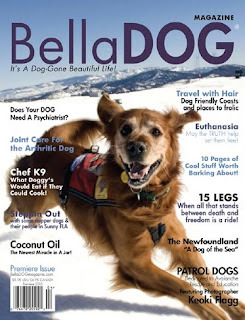 : Raise a Green Dog mentioned in premiere issue of BellaDOG Magazine! Search Raise A Green Dog for tips, tricks and info to help you raise a green dog! Raise a Green Dog mentioned in premiere issue of BellaDOG Magazine! We got a nice email yesterday from the folks at BellaDOG magazine letting us know that they featured Raise A Green Dog in their premiere issue. What a honor to be included in such a great new magazine! Thank you BellaDOG!!! Check out the new issue in digital version on line. 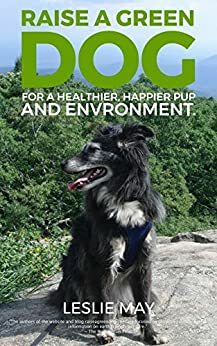 There are lots and lots of great articles, including many green ones - talking about food combining and the Yin/Yang of dog food, products made of hemp, healthy recipes and more! Thank you again BellaDOG! I checked out the digital issue and it's really cool. You should be honored to be included but they should be honored to have you included too. Green dogs, green environment...let's help each other out. Congrats! I've never heard of that mag, but it looks cool. Thanks for the link! WE'RE JOHANN, LESLIE AND GRACIE, YOUR HOSTS FOR RAISE A GREEN DOG! ©2018 Raise A Green Dog. All rights reserved. Support our Raise A Green Dog Partners! They help keep us going! Lift A Leg. Fertilize A Tree. The opinions expressed here are mine alone and do not reflect those of anyone else I may be affiliated with.